Mark Frank Montoya Snowboards are synonymous with quality and style. This snowboarder has designed unique boards that reflect his personal style. Mark Frank Montoya is a professional snowboarder. 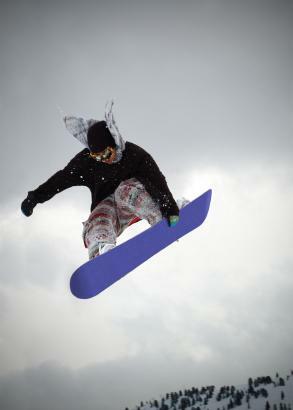 He is the only Latino snowboarder on the boarding circuit currently. His background is skateboarding which took him from skating on the streets to hitting the slopes on a board. His style is a mix of freestyle and skateboard influence. He has developed brands of snowboards and related products and has been named one of the Top Ten Riders. In July of 2009, Montoya was added to Mountain High, California's pro team. He has quickly become one of the top designers of boards and accessories on the market today. Nitro Men's MFM Wide Snowboard is available online at Altrec.com. This board comes in white and in sizes of 152 cm, 155 cm, 157 cm and 159 cm. It has high quality edges that make turns and tricks better than you could imagine. Its design offers incredible control. The light tip to tail core provides a controlled ride while the tapered tips help disperse energy. This board has an effective edge of 120 cm. Its nose/tail is 30.80 cm, waist is 26.60 cm and the sidecut is 7.3 m.
Technine Men's MFM Classic Snowboard comes in black with a screened art design. It comes in sizes of 149 cm, 153 cm and 157 cm. It is made from tri-axial laminate fiberglass. It is a twin type freestyle and all mountain ride board. This board has radial sidecuts, a flex pattern, power tech light core and high gloss top sheet graphics. It has an effective edge of 116 cm, the nose/tail is 29 cm, the waist is 25 cm and the sidecut is 8.4 m.
Some other items by Mark Frank Montoya are snowboard boots and bindings. A great pair of board boots are a must for any snowboarder. A pair to check out are Nitro Men's MFM Snowboard Boots. These boots have the Tech 3 Ultralight Thermacell Liner, standard laces, a removable shell tongue and flex gusset. Don't forget to check out the Technine Men's MFM Pro Snowboard Bindings. They come in black, grey and sand and are the perfect compliment to your MFM snowboard. They have adjustable toe and heel ramps, an aluminum heelcup, pre-curved molded ankle straps and cast aluminum ratchets with custom rubber logo grips. These bindings are great for all level of snowboarders. For clothing designed by Mark Frank Montoya, visit his website and go to the MFM Store to see tee shirts with designs by Montoya. If you are looking for a cutting edge snowboard, consider one from the Mark Frank Montoya snowboards collection. These boards come in the latest designs and offer a great ride for all levels of snowboarders.